RapLeaf: A Tale of Naivete? Or Cynicism? You may have noticed a bit of a kerfuffle in the press recently around a company called RapLeaf, and their relationship to personal data on the internet. Briefly, they are one of the few data collectors who identify names. The Wall Street Journal reported on them under the title “A Web Pioneer Profiles Users by Name.” A later article, "How Rapleaf Mines Data Online" followed shortly. The response was pretty broad, as thousands of people opted to delete their profiles. Too bad for the venture capitalists who had just sunk money into Rapleaf. Rapleaf has responded by saying it has fixed a number of the ‘leaks’ that were sharing Facebook and MySpace user info with advertisers. So that’s the mainstream story: another predatory foray into your personal information, this one caught by a vigilant media. But how many more clandestine data-suckers are out there lying in wait? That’s the official story. Of course, I wondered what was behind it. Turns out there are at least two levels. One comes from Eric Goldman, at the Technology and Marketing Law Blog. Eric suggests that his personal data on Rapleaf is less extensive than that on Google and Facebook. He’s more concerned about the sloppy mistakes. This isn’t the first time Rapleaf has been accused of privacy violations. In 2007, CNET reported that the company operated two other subsidiaries that secretly shared information with one another to create extremely detailed profiles about users — including their social network affiliations. Rapleaf quickly responded by merging all of its businesses under one brand. You might be wondering why I’m writing about this. Well, in my 21st blogpost (we’re now over 800), I wrote about Rapleaf. This was four years ago, in November 2006. At the time, I suggested this model was a good one to short, as it appeared hopelessly naïve. For now, here’s how it will work: If Auren buys five U2 tickets from Matt for tomorrow’s show for $150, he can go to Rapleaf after the show and say "Matt is good at selling tickets, he sold me five tickets, they were great, and even threw in a free parking pass." Matt then gets an email saying he was rated positively, and which asks him he wants to rate Auren, the buyer. Matt says: "Auren, he wasn’t very courteous." Rapleaf wants to avoid letting people trash others without cause, and so it is building in community features which allow members to flag things if they appear wrong. For example, Auren or someone else can protest Matt’s rating, and appeal to Rapleaf to take down the negative comment. Rapleaf then relies on the reputation it has already built up about Matt. If Matt doesn’t have a reputation, and he is trashing someone with a good reputation, then Matt doesn’t carry any weight, and the comment is removed. Naïve to be sure. Sort of sweet, in a four-decades-ago San Francisco kind of way (Rapleaf is also in SF). But then how did Rapleaf get from everyone-rates-everyone-and-we-all-live-happily-ever-after to a model built on data-scraping? I have no data myself. But I suspect therein lies a tale of corrupted innocence, of selling out unconsciously, of turning beliefs inside out, not unlike the way the frog supposedly boils to death in slowly increasingly-hot water. 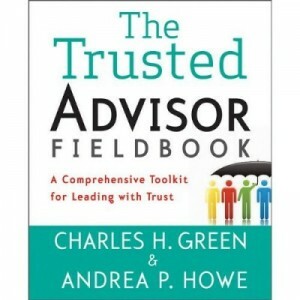 https://trustedadvisor.com/public/ 693 693 Charles H. Green http://trustedadvisor.com/public/trusted_advisor1.png Charles H. Green2010-10-27 10:00:002010-10-27 10:00:00RapLeaf: A Tale of Naivete? Or Cynicism? 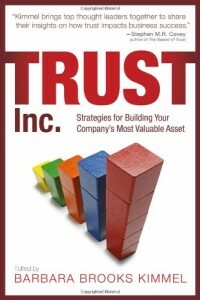 The Trust Equation eBook Are Your Business Processes Destroying Trust in Your Business?